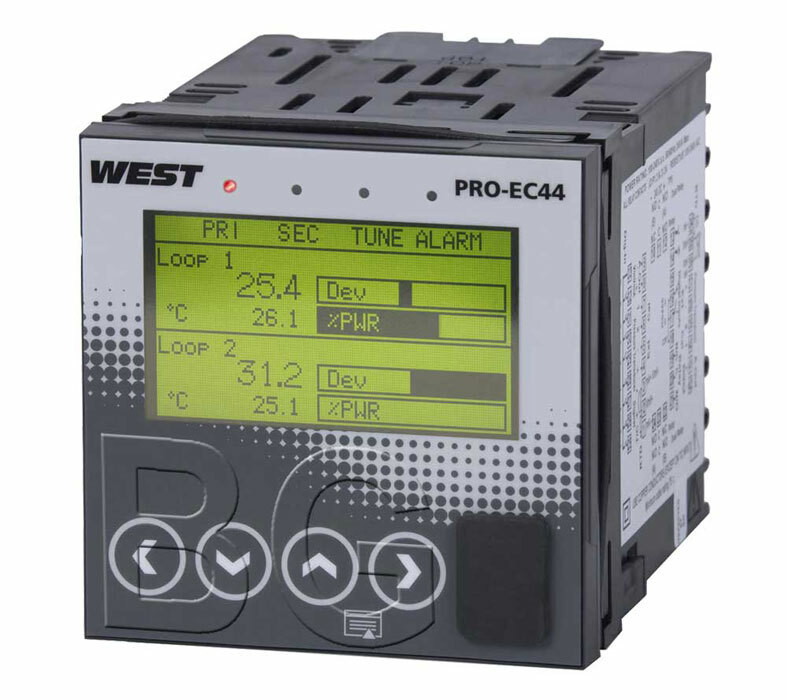 Single and Dual Loop Temperature Controller Pro-EC44 (West Instruments) - BG electric e.K. Controllers PRO96-1 and ProVU4 are not available anymore. The successor is Pro-EC44. We will help you choose the right part number for a replacement. The Pro-EC44 has been designed to simplify user operation through an intuitive HMI combined with easy-to-use configuration and simulation software, Blue Control©. This allows the controller to be used by a variety of personnel without compromising the functionality available. Quick access to important product information is also facilitated with a front USB port. The Pro-EC44 controller is well suited to challenging applications such as: Plastics, Extrusion & Rubber, Industrial Ovens & Furnaces, Laboratory and Test Equipment, Environmental Chambers, Boiler & Steam Processes, Food & Beverage, Packaging.